Conflict is one of the greatest communication barriers. Most conflict comes from immaturity in personality styles. Maturity is not defined by age. You can be a 70-year-­old immature D, I, S, or C. Maturity comes when you realize your strengths and weaknesses are a result of your individual personality style. This guide points out how each personality style contributes to conflict. 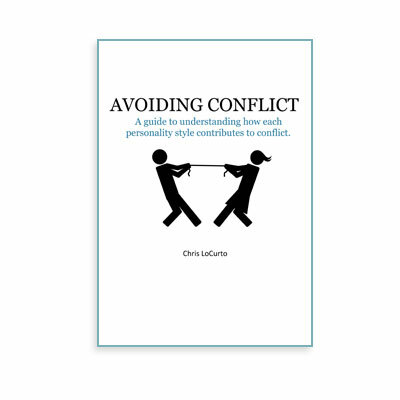 In this eBook, Chris LoCurto goes through each personality style, focusing only on the areas of weakness. By understanding each other’s weaknesses, Avoiding Conflict will help you take the first step toward high levels of quality communication.